Observation - Cowslips - with a difference - UK and Ireland. Description: Amongst a bank of ordinary Cowslips, were these taller, more vigorous and quite beautiful hybrids (I assume). I have never seen Cowslips like these ones before, has anyone else? Amongst a bank of ordinary Cowslips, were these taller, more vigorous and quite beautiful hybrids (I assume). 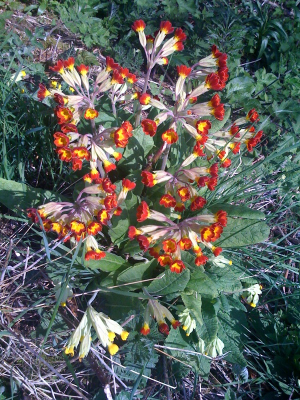 I have never seen Cowslips like these ones before, has anyone else?